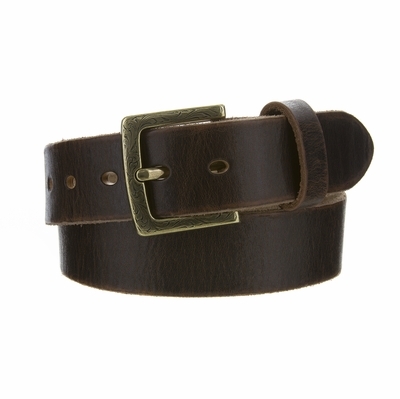 1-1/2" (38mm) Fullerton Women's vintage casual one piece genuine full grain leather belt. Stitchless leather belt. 5 oval holes for easy fit adjustment and snaps for easy buckle change. Western floral engraved antique brass plated square buckle size: 1 - 3/4"x 2".